My dad who I admire, respect, and love dearly, for my taste, watches too much Fox News. He criticized the Affordable Care Act (ACA) for years. He talked exclusively about its shortcomings. He talked about the 3,000 pages of the Act that none of the members of Congress had read. After listening to him for a while I rebutted him on only one point. I said you could never criticize the ACA’s authors’ motive—to improve health care coverage for Americans. With my comment, he quickly changed the topic of discussion. During many conversations with him over several years, he never changed the topic as quickly as he did that time. My rebuttal hit home. We can argue over method but it is far more difficult to argue over motive. Motive is playing a key role in what could be described as political debates right now. The Courts are speculating about President Trump’s motive with the Travel Ban and questions whether it involves religious discrimination. Some judges believe it does. In Iowa, the legislature passed a bill that the Governor signed into law that severely limits collective bargaining for public employee health care benefits. 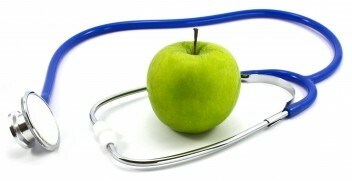 The Republicans claim to be concerned with giving public employees more health care choices. I believe that their motive was to seriously dilute the power of public sector unions in Iowa in the same way that has been done in other Republican-governed states. To me, these words go back to how motive can shape behavior.The White House and the Congressional Republicans are struggling with and bickering about repealing and replacing the ACA. Yesterday, President Trump said, “I have to tell you, it’s an unbelievably complex subject. Nobody knew health care could be so complicated.” The complexity of health care should not have surprised him. Those of us who have worked on health care reform for many years have known that for a long time. But more importantly, what is the motivation behind their effort? Is it to maintain or increase health care coverage for Americans and their families? Is it to save money? Is it to eliminate the “individual mandate”? From years of attending meetings, talking with experts, and reading a wide variety of literature, I sadly have not found within the Republican Party, nationally and in Iowa, a genuine, humanitarian desire to increase health care coverage. For that matter, I have witnessed that same attitude among insurance companies regarding health care coverage for individual policyholders. Without the appropriate motivation, I question the results. Going back to Queenstown, New Zealand, I fear for a world that is not shaped to care for all Americans. I fear that shaping such a world will eventually shape us all. Medicare, Medicaid, and Social Security were created with a motivation to help all Americans. The ACA was created with a similar, positive motivation. Will TrumpCare have that same motivation?